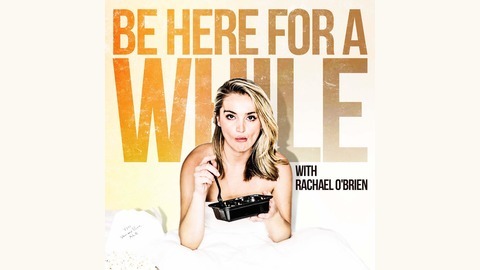 Rachael O'Brien is a stand-up comedian/actress and her self deprecating humor is at the center of the weekly show. 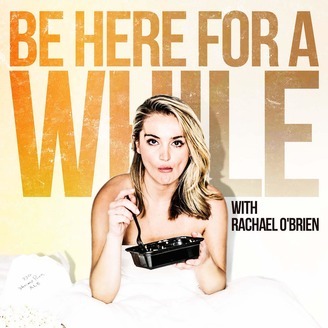 On each episode, Rachael dissects the comedic moments in the lives and careers of her friends and notable entertainment industry personalities. She enjoys interviewing talent about their personal struggles and successes, learning more about emerging industries, diving into (and sarcastically analyzing) dating and relationships, and through all this, she loves giving her listeners weekly inspiration to reach their goals -- or at the very least give them some laughs to get them through their day. O’Brien’s flourishing comedy career includes doing stand up worldwide in the most prominent comedy clubs and sharing the stage all-star comics including David Spade, Ali Wong, Bill Burr, Whitney Cummings and Judd Apatow, to name a few! Currently Rachael can be seen on Bravo's hit TV show Vanderpump Rules, which recently aired it's 6th season. Instagram &amp; Twitter: @rachaelnobrien. Rachael is obsessed with Away Luggage and wants you to enjoy it too! For $20 off a suitcase visit awaytravel.com/behere and use promo code BEHERE during check out!